Have you ever woken up with a sudden jolt just as you've started falling asleep? Or maybe it felt like you were falling? It could be that it felt like you were having a huge muscle spasm. You may have even felt a small shock sensation or a bouncing feeling. A hypnic jerk is an involuntary twitching of a muscle, or muscles. It is estimated that around 70% of people experience hypnic jerks at some point in their lives. They occur just as you are falling asleep, during what's known scientifically as the hypnagogic state of consciousness. 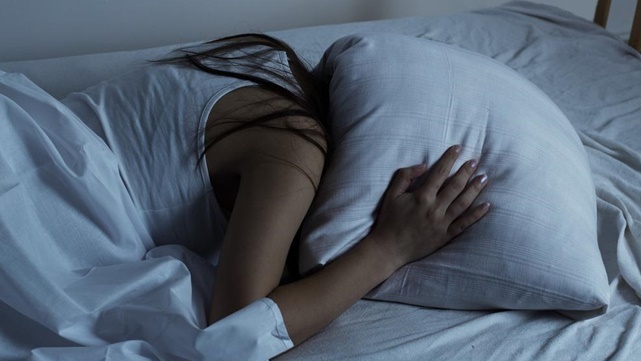 When your body is really exhausted, the brain processes stages of sleep too quickly, confusing itself into thinking that the body and its major systems are failing. It responds by jolting you awake with a burst of chemicals, one that the brain might interpret, and then build a dream designed to wake you up. Scientists believe that several factors can contribute to hypnic jerks happening, such as anxiety, stress, alcohol, caffeine, heavy exercise late in the evening, sleeping in an uncomfortable position, being very tired or fatigued. Magnesium is an antidote to stress, the most powerful relaxation mineral available, and it can help improve your sleep.